The Innkeeper's Daughter is a rare artifact from the Dwarf branch of Archaeology. You must have at least 150 skill points in Archaeology before you even have the chance of seeing the project. You will need to gather 150 x Dwarf Archaeology Fragment (or less if you use up to three Dwarf Rune Stone) in order to solve the project. Both items have a 10-second cast time and can be used in combat. Both items share a cooldown. Both items bind you to the same location. You cannot set different inns. Both items have their cooldown reduced by the level 8 guild perk, Hasty Hearth. The spirit itself is a vanity pet, meaning that summoning another vanity pet will cause her to despawn. She will also despawn if you perform any action that requires the client to use a zone loading screen (like teleporting to a battleground). She was hotfixed during Cataclysm so that she could not be targeted by healing or harmful effects. The item itself was changed in Mists of Pandaria so it cannot be sold to vendors. Interestingly, the spirit of Keelin Stonekeeper - a.k.a. 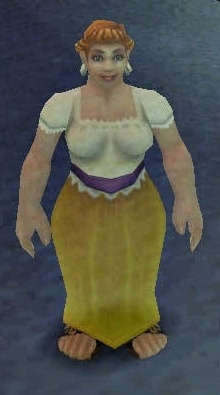 The Innkeeper's Daughter - shares the exact same appearance with Thaegra Tillstone. For this item, that means you can probably trash your Hearthstones on all your characters to free up another additional page slot! It was removed in a later build of WoD's beta, but appears to be on course for addition to the Toy Box in Legion.